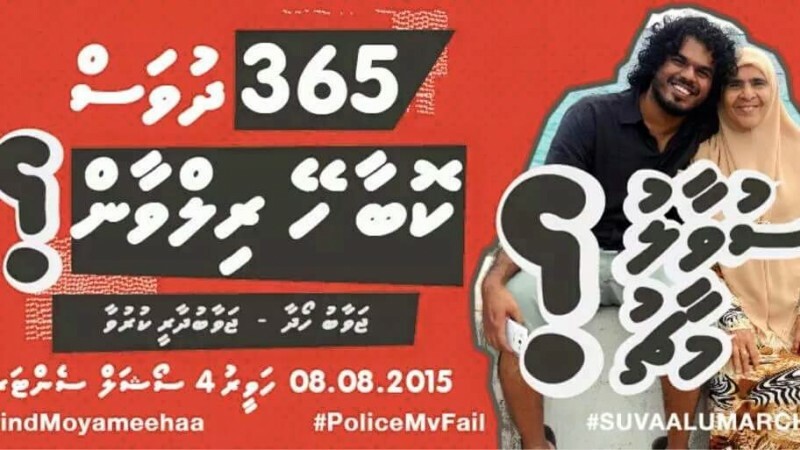 It has been 365 days since Maldivian journalist, blogger and human rights advocate Ahmed Rizwan Abdulla went missing. The 28-year-old, who works for online news site Minivan News, is an advocate of democracy and free speech and a prolific social media user. There has been no real progress in the investigation and the people behind his abduction have not been identified. The Maldivian Police and the government have remained silent. To demand action and accountability from the state, Rilwan’s well-wishers started the #FindMoyameehaa campaign – the first of its kind in the Maldives. The campaign has organized rallies, petitions, public events, awareness programs on the streets, and also engages the public on social media. The #FindMoyameehaa campaign has drawn widespread attention and international press coverage, and also generated responses – including statements from IFJ, SAMSN, Amnesty International, Reporters Without Borders, the Human Rights Commission of the Maldives, and various national and international bodies. On July 8, 2015 Rilwan’s family called for an independent public inquiry into the disappearance and the lapses in the investigation. On August 6, Committee to Protect Journalists (CPJ) urged Maldives to launch an independent investigation into Rilwan's case. To mark one year of his disappearance, the family has requested a public rally on August 8 to remind the state of its duty to protect journalists and enforce the law. The opposition Maldives Democratic party has endorsed the rally. Maldives' police tried to stop a peaceful silent #suvaalumarch led by missing journo's family. Friends & family pepper sprayed & manhandled.